We’ve had a lot to celebrate over the last few months, but it’s only right that we start with our new film series, CTH Spotlight. As a way to give our students a clearer insight into the inner workings of the industry and motivate them on their journey, we've created the film series CTH Spotlight. The series was successfully launched in June, and consists of us talking to people in the industry and key members of staff at some of the world's biggest employers in Hospitality, Culinary and Tourism. We discuss important aspects about working in the industry; the steps taken to get in the positions that they are; and they also offer some key advice to students from their own experience. All this is great for students to hear and see as they manoeuvre through education into working life. 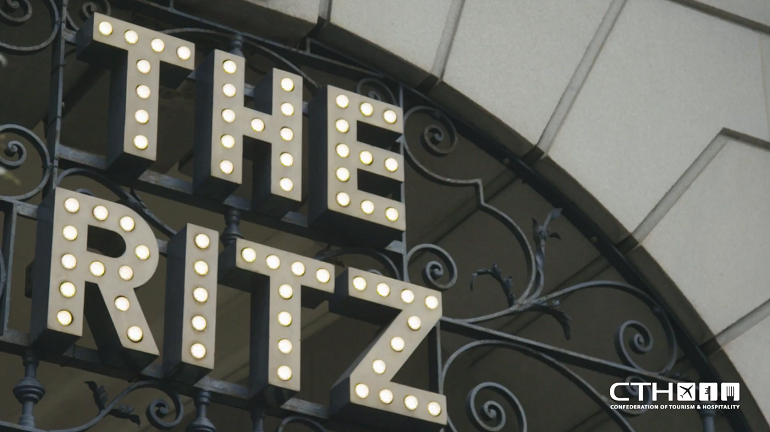 We are happy to feature The Ritz Hotel, London in the first CTH Spotlight release. They were gracious enough to give us access to their premise and staff. It proved to be a success for both our teaching centres and students, who were able to have key questions answered and see how enjoyable working in the industry can be. CTH Spotlight is a continued effort from CTH to our students. The Ritz video is the first of many, look out for the second release coming to you in the near future. 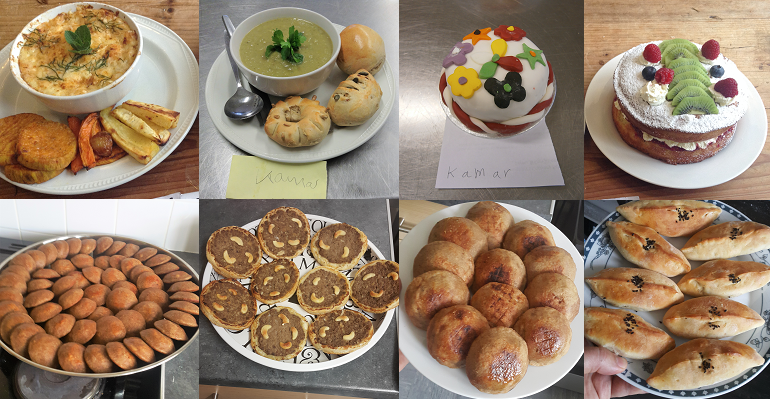 In association with St Andrews Healthcare, the CTH 'Chefs in Social Care' qualification has just been used to underpin a new apprenticeship scheme, launched recently. 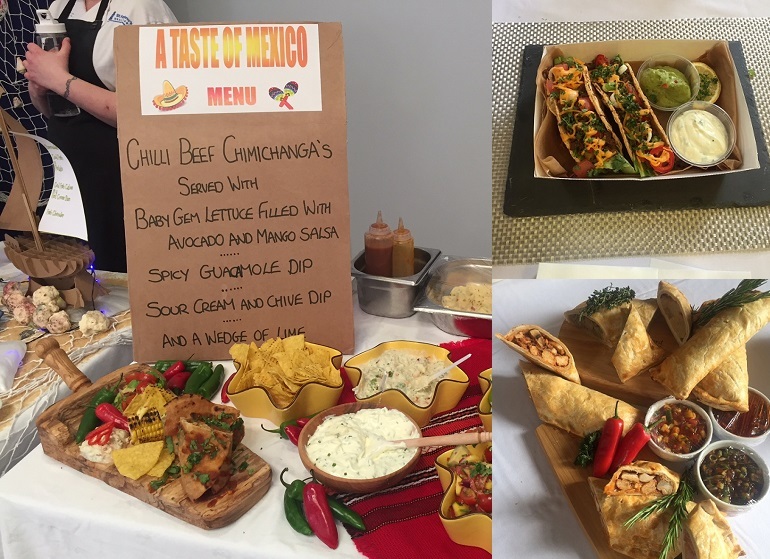 Congratulations to St. Andrews Healthcare in Northampton, who have launched the first Apprenticeship scheme using our CTH Specialist Chef Award in Social Care qualification, delivered by HIT Training. St Andrews Healthcare are the UK's leading charity providing specialist mental health care with a reputation of over 175 years. I was so impressed by the effort and creativity of the food produced for Dysphagia patients and the high level of interest from all the chefs involved It is very exciting to contribute to this important and rapidly growing sector, texture-modified food requires a specific set of skills and our Level 2 Specialist Award for Chefs in Health and Social Care qualification happily meets this demand. To find out more about the CTH 'Chefs in Social Care' qualification, email marketing@cthawards.com. Read about this new volunteering initiative launched in order to provide a helping hand to communities around the world. The world is not infinite and what we do today has an impact on tomorrow and the future. As students in the Travel, Tourism and Hospitality industry we know that people travelling around the globe has a huge impact on the environment and communities surrounding the destinations. We also know how valuable tourism is to many destinations and is often the sole source of income for the economy. We are aware of the impact we are having on our planet, humanity and all living creatures. If we don’t make necessary changes to our lifestyles and how we treat the planet and each other then there will be nothing left to save. We can get upset, voice our opinion and argue about what we should be doing, but it is only if we do something, will things change. I strongly believe that to see a change we must be the change. Sometimes it can be a challenge to know what to do or where to start but the key thing is to make a start. Start by something small that can then lead onto greater things. This is where Travel Kind Connect comes in. 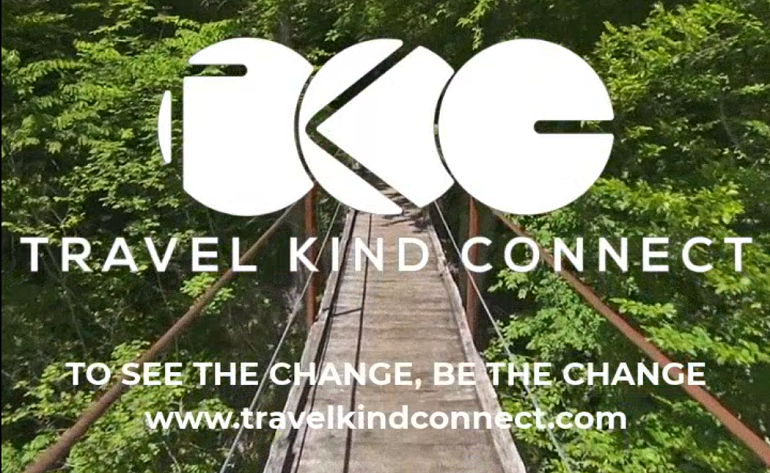 Travel Kind Connect is a micro volunteering site asking everyone who travels to give back a little to the environment, communities and people they visit. Start by doing something small and donating one of three things. Donate your time – anything from a few hours to a few days. Donate your skills – if you have a valuable skill you can teach someone else to make their life more effortless then that’s great. Donate your items – you may have items already lying around that you no longer use that can be of benefit to someone else. By connecting when we travel we not only empower ourselves but empower others too. We learn about ourselves and we learn about others. We become the change that then has a ripple effect in helping others make a change. So, Travel the world to learn and discover, be Kind to yourself, others and all living creatures and Connect with yourself, the environment and humanity. What change will you make? Discover more at Travel Kind Connect and join the tribe... the tribe of humanity. Hot on the heels of CTH’s exciting partnership with the Institute of Hospitality last year, we are now delighted to bring news of a further developing partnership - this time in the Travel & Tourism sector. The Institute of Travel & Tourism is a leading membership body for the fast-growing Travel & Tourism sector, with a professional membership of thousands of senior managers worldwide. Within its membership ITT covers a wide range of sectors and niches, from air travel and cruises to regional tourism bodies and car hire providers. It’s board is similarly eclectic with representatives from leading industry players such as Thomas Cook, Advantage Travel Centres, VisitEngland, P&O Ferries, Perfect Weddings Abroad, Qatar Airways and Affordable Car Hire. Attractive ITT Membership opportunities will be available to CTH students graduating in Travel or Tourism-related subjects, so completing CTH’s professional progression coverage. Since last year CTH Hospitality & Culinary graduates have had the option of taking up Membership of the Institute of Hospitality and we are delighted that now a matching opportunity will be available to our Travel & Tourism graduates too. It is all part of CTH’s commitment to offering Gold Standard qualifications that offer students in our sectors the very best opportunities for their careers. ITT and CTH will be looking to develop our partnership further over the coming years, so look out for more announcements to come! These industry partnerships offer real tangible benefits to graduating CTH students, connecting them with key people in the workplace and increasing their chances of getting the best jobs available. Since he joined CTH, Stefano's been a very busy man, but he was able to spare a few minutes and get involved in our Meet the Team segment. Find out more about him here. 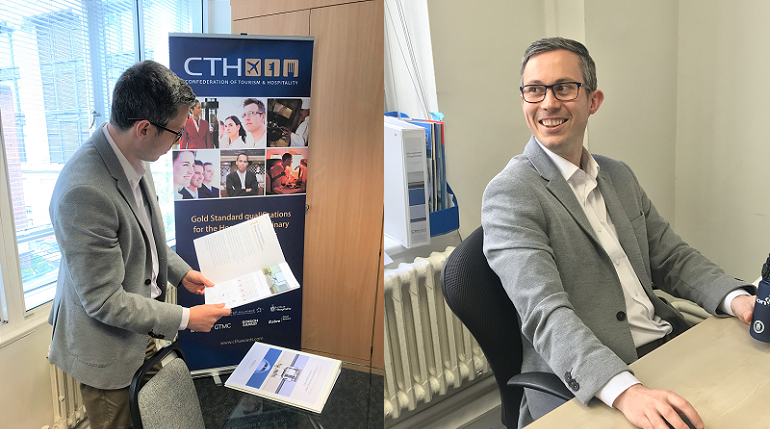 My role at CTH as a Sales and Customer Relations Manager is to guide new centres through the process of becoming an accredited member of CTH and building a long lasting partnership. I show them the benefits that we can bring and the added value that we can both give to students who are looking to enhance their career or their education. At the same time, I help existing centres to market our CTH qualifications in order to grow the number of learners and expand CTH's brand awareness. No wonder you've been a very busy man. Tell us what you were doing before you worked at CTH? So, you're very much a people person, I can probably guess your answer to the next question. What have you enjoyed most about working at CTH? Establishing relationships with our worldwide centres to make them feel part of our CTH family – to join in our success of giving students a possibility to enhance their career or education. The best part of working at CTH is this, the actual real capability of improving people’s life. Since the announcement that CTH students could gain access to the Members site at no additional cost, we've been working to improve the offering provided by the site. Updated the number of past papers - In order to give our students and teachers resources needed for revision to take place at home and in the classroom with updated our student resources area to include past papers as recent as this year. Increased the number of culinary resources - To make sure our culinary students are equipped with enough resources, we been adding to the number of culinary resources that we offer. You can find them under the Student Resources area. 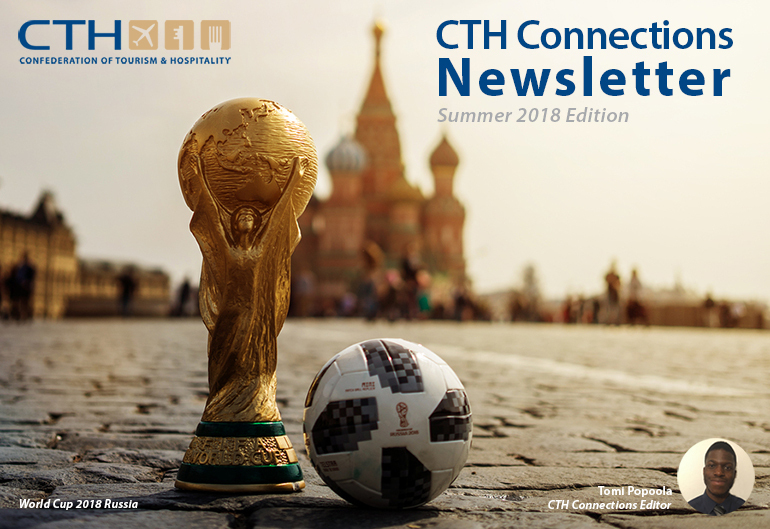 Sharing CTH news on the social area - We've made a conscious effort to keep our users informed not just through email, our social media and our main website, but through our Members site as well. Look out for updates via the members site. Added the new Examiner Guidance videos - As a way to help our lecturers guide students through the programmes, with the help of one of our examiners, we've produced two examiner guidance videos. Added the Student Study Guides - These resources can be used by lecturers to break down the course material to students, take a look at them in the Centre Resources area. These are just the start of some of the changes you'll see on the CTH Members site, look out as we continue to improve and add more resources for your use. 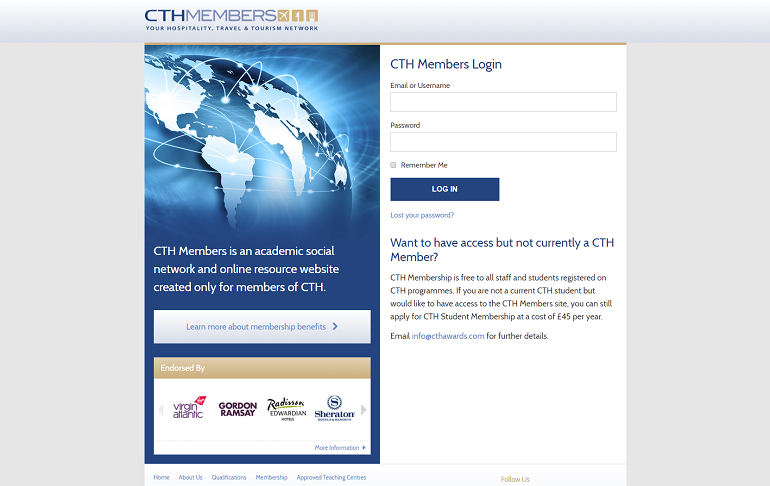 Make sure you take a look at the Members site for yourself at https://members.cthawards.com/ or email info@cthawards.com for log-in details to gain access. 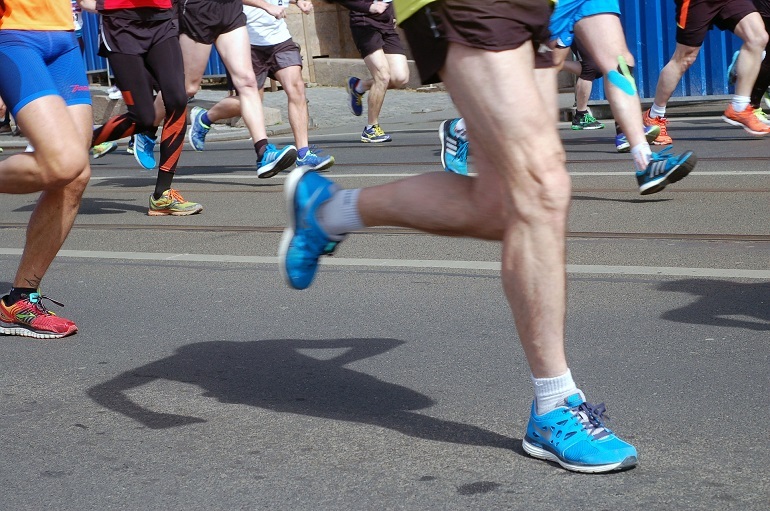 Read about our sponsored 5km run around London’s Hyde Park, raising money for the young people’s homeless charity, Shelter. As a way for CTH to do its bit for charity, a couple of the CTH team have decided to go on a sponsored run for the homeless. CTH team members Arkin, Tomi, Steve, Stefano, Cloe, Becky and Ulpa all wanted to get their training legs out and get moving for a great cause. The run is set to take place on the 25th of July at Hyde Park, London. In the lead up to the run we've received a lot of donations from people who are supporting the cause. None of the team are runners, so it's been a good show of faith to receive the support we have. The team have been working hard week in, week out with their training sessions and they seem to be reaping the rewards. The anticipation for the run has built up a friendly competition in the office, as everyone is aiming to complete the course. As the big day approaches, the team seem more and more ready, which is probably due to the excitement for the run. Hopefully, the contribution from the team leads a long way in helping those who are less fortunate. Thank you to all those that have donated. As part of our recent partnerships with the Institute of Hospitality and the Institute of Travel & Tourism, we've opened up a world of opportunities for our students. Find out more here. What these partnerships mean for our students is they benefit from a wider reach. Both the Institute of Hospitality and the Institute of Travel and Tourism have an extensive professional membership network. This means, that once CTH students graduate, they are then able to become professional members of these institutions and therefore, they can build connections with the industry more easily. By receiving news and documents and attending events, students can stand face-to-face with the people who make a difference in the industry and that's why we're encouraged when these kinds of partnerships are formed. It's an aim of ours to help students break into the industry and make opportunities much more accessible and that's exactly why we encourage our students to become professional members of our recent industry partners. As, these partnerships grow, we'll continually look for ways that we can help both our teaching centres and students, so look out for more news to come.